The company is committed to indoor and arhtectural designs, mainly focusing on commercial space design such as designs concerning malls,hotels, gymnasium,movie theaters and restaurants which are profit orientated. 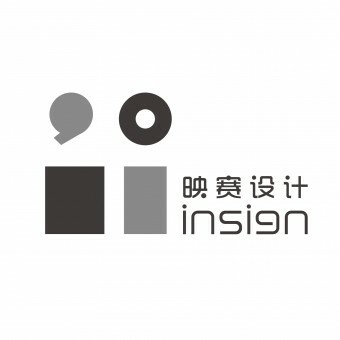 Insign Archtectural Design Consulting(Shanghai) Co., Ltd.is founded by China Environmental Art Design Holding Group Co., Ltd associated with Noah wang, a Taiwanese American. It is a company labeled as being creative and is internationally welcomed. Insign Design is an international design team led by chief desiner Noah Wang. The group is armed with advanced design concepts and has perfect design and management systems. It has a talent pool with famous designers from China, Japan, Austrilia, America and Singapore. The company is guided by a global strategy and strives to setting up an unique design style. It distinguishes itself from others by changing the traditional design models in China and intergrating the international design perspectives with china’s. It cooperates with other well－known domestic designer groups to build an unified stage where a well developed industry ecology and a streamlined products processing cycle are established.By doing so, projects can be completed more efficiently and elitistly, thus promoting the business value of clients. Different participants, designers, architects and builders included, cooperate with each other to realize that good resoures are shared in the course of producing and researching.only in this way, can projects of high quality and standard can be established, thus, promoting the regional industry development. The company is run by jointed parts:1. archtectural design department, namely, Shanghai Yee Archtectural Design Company. 2. Brand image design and planning department,namely,Long design. 3. Architectural Indoor design: commercial design consulting department, Archtectural Design Consulting(Shanghai) Co.Ltd 4. Fengshui planning consulting, Jintang Institute of Chinese Studies. Indoor design: hotel design, restaurant design, movie theater design, gymnasium design, office design and business counsulting. Architectural design: landscape design, city planning, building design, estate planning, marketing and consulting. Graphic design: brand VI system design, brand planning and brand consulting. Femgshui planning: fengshui planning and design.